Tejashwi Yadav is not only asking for at least 40 per cent quota from the existing 27 per cent for the Other Backward Classes, he has also demanded quota in private sector jobs. Chief Minister Nitish Kumar's advocacy of the opposition Rashtriya Janata Dal stance on quota - a bigger chunk for Other Backward Classes -- has pushed Lalu Yadav's party to raise its pitch rather sharply. On Thursday, Tejashwi Yadav said his party will begin an agitation to bend the Centre to its will. The declaration was made yesterday, marked as Karpoori Jayanti in the state, which has special significance for the reservation issue. Karpoori Thakur, dubbed Jan Nayak (people's leader) was a popular former Chief Minister and socialist leader, who was mentor to Lalu Yadav, Mulayam Sigh and Ram Vilas Paswan. He is also known for his interesting formula for quota, which had a share for the poor among the backward classes known as EBC (economically Backward Class). There was also room for three per cent quota for the poor among the upper castes. With its huge backing of Yadavs, who belong to the Other Backward Classes, Lalu Yadav's party had voted against the ten per cent quota bill for the General Category in parliament. 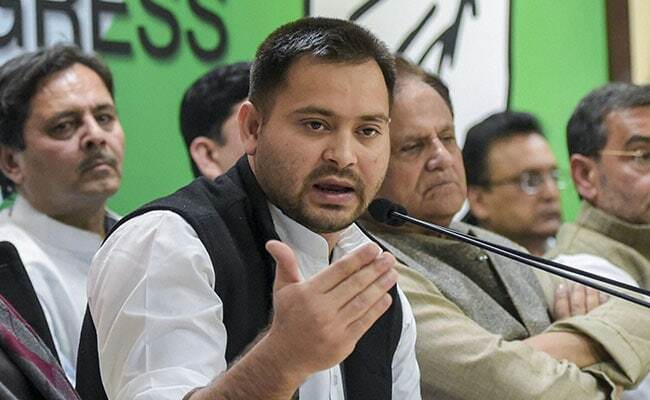 Tejashwi Yadav is not only asking for at least 40 per cent quota from the existing 27 per cent for the Other Backward Classes, he has also demanded quota in private sector jobs. While its stand is guaranteed to irk the upper castes, the party is hoping that the windfall gains from the support of the Other Backward Classes and Dalits in the state will more than make up for it. The stand of the Chief Minister has been more nuanced. Welcoming quota for the General Category, Nitish Kumar said that he doesn't find "anything wrong" with it as it doesn't interfere with the existing quota for OBC and the Dalits. For now, "we are bound by the Supreme Court cap of 50 per cent on quota for OBC and SC/STs", he said, but held out hope for more quota for his supporters once the caste census is done in 2021. But Mr Kumar's supporters are far from happy. Party insiders say they have argued that if 10 per cent quota can be given to upper castes by a constitution amendment and without any survey, why can't the quota cap be raised by another amendment in the constitution. Although Mr Kumar's deputy, BJP's Sushil Modi, has announced that there will be a caste census, he has been evasive about whether it would lead to more quota for the backward castes and Dalits as the Chief Minister has promised.